All Grain Witbier homebrew recipe. 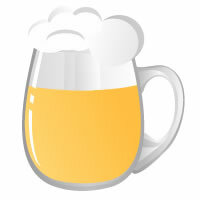 This homebrew recipe uses the following ingredients: Pilsner - DE, Flaked Oats - US, Flaked Barley - US, Flaked Wheat - US, El Dorado Hops, Mosaic Hops, Fermentis Safbrew S-33 Homebrew Yeast, Irish Moss, Coriander, Orange or Lemon peel. This recipe was cloned from Lazy Hazy Summer Session IPA.